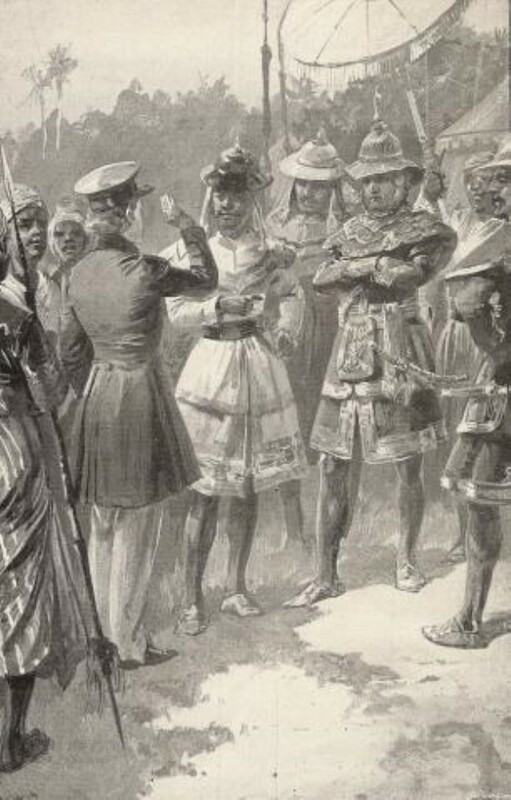 A British military officer saluting Maha Bandula. YANGON—Today marks the 194th anniversary of the fall of Danubyu Fort to the British one day after the death of Myanmar’s historic general Maha Bandula during the first Anglo-Burmese war in 1825. Following his successes in leading his commanders to push back British forces in Rakhine State, the commander-in-chief of the Burmese army, Maha Bandula, was ordered by King Bagyidaw to command the Myanmar troops in Yangon, where thousands of British had entered by water. Due to the superior weaponry of the British, the general was forced to retreat and instead created a defense fort at Danubyu, a small town in the Irrawaddy delta. Within one month, he had a strong stockade built along the riverbank of the Irrawaddy River, and along with 10,000 troops, prepared for defense. Maha Bandula displayed his strong commanding skills and the British failed to take down the fort even after almost one month of fighting. Eventually, the British reinforced their troops and pounded the town with heavy weaponry. General Bandula was killed by a mortar shell as he was commanding his troops. He was 42 at the time. The fort fell into the hands to the British on April 2. The British kept his military outfit as well as his sword and spear. After his death, Myanmar was forced to surrender Rakhine and Taninthayi states to the British signaling the beginning of the end of the First Anglo-Burmese War.